One IT offers a comprehensive range of IT network installation services, irrespective of the size and unique requirements of your business, across Newcastle or the rest of the North East. Our network installation solutions incorporate a wide variety of different cabling solutions, such as structured data cabling, telecoms cabling and fibre optic cabling. Here at One IT, we offer a range of structured cabling solutions and can cater for anything from a single point to 1000 points. What’s more, depending on your unique needs, we can install either to temporary or IEEE standards. Our comprehensive selection of structured data cabling solutions incorporates all aspects of network installation, including the faceplate, as well as the supply and installation of comms cabinets. 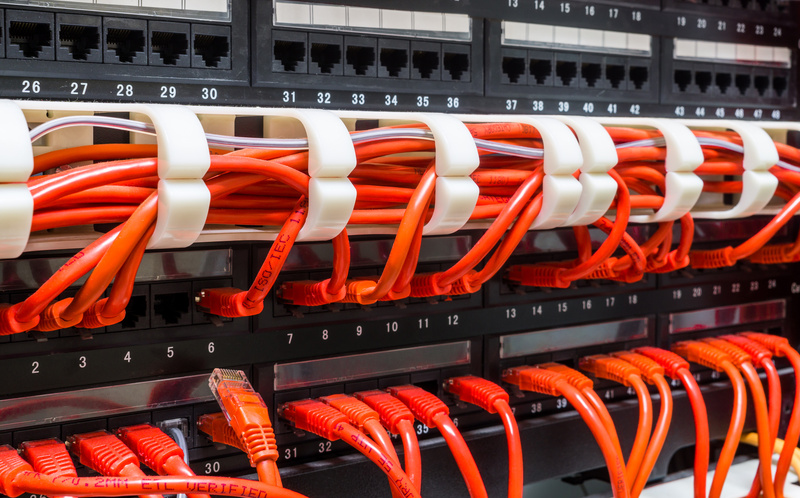 One IT do more than just run the cable; we are experienced in all aspects of network installation, including patching in PCs and equipment, installing additional switch capacity and cable managing a cabinet. We have vast experience in working across all trades and industries, which includes commerce, education, healthcare, hospitality and industrial environments. As is the case with our structured data cabling solutions, One IT have extensive expertise and experience of providing all aspects of telecoms cabling solutions. The biggest call for telecoms cabling at the moment is within the construction industry, where we regularly work with overhead or armoured cables to get lines safely across construction sites. There is a common misconception among businesses that a fibre optic cabling solution would be incredibly expensive. However, advanced techniques in installation, on top of the lower cost of the actual fibre cable, means that fibre optic cabling is now a highly viable solution for many projects. One IT particularly favour the pre-terminated fibre solution, which is terminated at both ends and tested in the factory. One of the main benefits of this strategy is that the cost of this is often lower than buying the materials only and terminating on-site. Of course, this isn’t always possible and where on-site termination is required, we use the latest fusion splicing techniques to finish the job. If you would like to discuss our range of network installation services further, do not hesitate to get in touch – our team of experienced engineers are waiting on the line and will be happy to help. Welcome to One IT Support, your one-stop shop for locating a brilliant collection of licensed wireless backhaul solutions. By installing licensed microwave links into the workplace of your business, you will be able to gain access to frequencies into the 7GHz to 40GHz spectrum. As if this was not enough, wireless licensed microwave link systems allow you to provide gigabit speeds with extraordinary reliability of 99.999% uptime to staff members – without any interference whatsoever. By using a helping hand from One IT Support, you will be able to set up a wireless backhaul network in your business without any fuss. This is just one of our excellent network installations mind, with our engineers on hand to provide your business with SUB10 unlicensed gigabit links and powerful WiFi connections too. Take a look at our range of wireless backhaul solutions, or get in touch with our team of experienced engineers – they will direct you to the best network for the needs of you and your business. Make a seamless connection between all the pieces of technology in your business, by checking out one of our excellent WiFi setup techniques here at One IT Support. WiFi has become exceptionally popular over the past few years, as it enables a compatible electronic device to exchange data to another system with ease. Furthermore, the technique is now used by millions to connect to the internet without the need for dangling wires, thanks to the connection being made via radio waves. One IT Support understands just how important WiFi is in this day and age, which is why we supply you with all the tools you need to introduce a WiFi protected setup into your business. When it comes to connecting your business online, remember that we offer a wide variety of excellent broadband services too. Furthermore, don’t forget that we can supply you with top-quality digital phones so that you can connect to customers and clients offline too. Bring WiFi into your business today by discussing the best solution for you with one of our helpful engineers over the phone without delay. Present staff members in your business with a superb network connection, by installing SUB10 unlicensed gigabit links into your workplace with the assistance of One IT Support. SUB10 access points have many eye-catching characteristics, including their rugged construction, standout reliability and top-class levels of security. This is not to mention that the links are easy to manage once set up. So whether you are a business in the retail sphere or are based in the corporate sector of a bustling city scene, One IT Support is waiting to help you set up your SUB10 gigabit links today. Remember that we can also help you set up a phenomenal WiFi connection around your business – whether for indoor or outdoor purposes – and are even on hand to carry out a handy wireless site survey around your facility. See how SUB10 unlicensed gigabit links can benefit your business; simply contact us to speak with one of our helpful and skilled engineers right now. Create a strong network connection around the location of your business, by setting up wireless towers and network masts near to your facility using One IT Support. More people are using wireless services today, due to the huge increase in demand for smartphones and tablet computers. In order to keep the connection strong within your business, One IT Support is on hand to install network towersand masts so that your firm can create and run its very own wireless access points. Of course, don’t forget that our skilled engineers are also on hand to assist you with setting up both indoor and outdoor WiFi hotspots. Meanwhile, our superb broadband options will present members of your staff with a fast and secure internet connection in next to no time. Get in touch with one of our experienced engineers to discuss how best to set up wireless towers and network masts around your company’s headquarters today. Install a point to point wireless bridge to seamlessly connect network segments around your company’s facilities, with a helpful hand from One IT Support. A wireless network bridge can only function in pairs – hence the point to point criteria – with the component allowing two or more network segments to become connected even when they are physically separated. Although the components involved are often hardware, a number of operating systems now provide software so that you can even bridge different protocols around your business too. See how a point to point wireless bridge setup would benefit your business by discussing the installation options with our team of skilled engineers over the phone today. Don’t forget that we can also carry out a wireless site survey around your business, in order to structure a superb wireless network that is tailored to your exact requirements. Create a network around your business that is tailored to your specific needs by asking One IT Support to carry out a complex wireless site survey today. Also known as a RF site survey, a wireless site survey is a handy process when you are in the early stages of planning and designing a wireless network. Rest assured that our experienced engineers will have all the latest wireless site survey tools at hand when they visit your company. As a result, you will be given accurate details about the required wireless coverage of your facility, its roaming capability, all the data rates and its network capacity. Once the survey has been carried out, we have all the network installation equipment so that you can get connected in no time at all too. In fact, we can provide you with everything from a powerful WiFi hotspot to the ability to seamlessly connect network segments around your company using point to point wireless bridge links, as well as install high-tech wireless towers and network masts. All you need to do to arrange a wireless site survey today is get in touch with one of our helpful engineers right now. Our experienced engineers here at One IT Support are skilled to set up all types of copper network installationsaround your business. In today’s tech-savvy world, we understand that LAN cabling has to offer businesses network connections that are of the highest quality, have plenty of flexibility, value and function which will continue well into the future. That is why out copper network setups are done with extreme precision. This is a guarantee whether you are in need of data and telecoms cabling for communication purposes or are trying to improve the security of our company headquarters with such twisted pair cable solutions as CCTV and video transmission systems. If you would like to find out more about our copper network installation solutions, please get in touch with one of our expert technicians – they are waiting to answer any queries you may have. Welcome to One IT Support, where we can offer you and your business with an extensive selection of copper data cabling solutions. 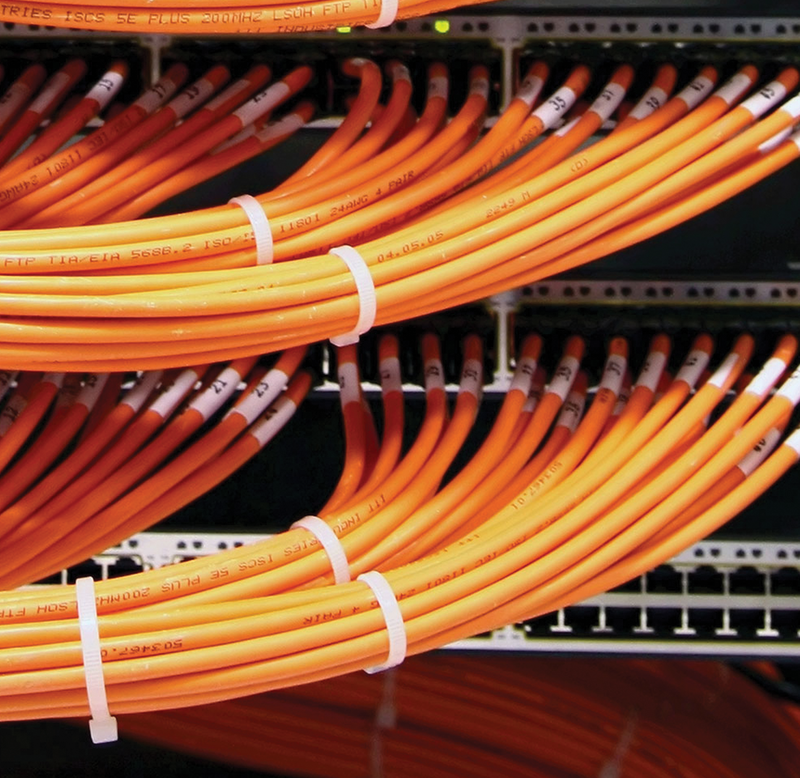 Copper data cabling installation can cover category 5e, category 6 or category 6a. What’s more, while the former two specifications cover UTP, FTP and STP levels of shielding performance, category 6a will only be available as a reliable, high-performing STP design. Fortunately, One IT Support offer you all of these data cabling installation techniques, whether you are looking to fit patch panels, K-series jacks, patch cords or faceplates to the network setup of your business. Remember that our copper network installations extend to VDSL over telecoms twisted pair technology, which will help you to substantially improve the security of your company’s facilities. Get in touch with one of our skilled engineers to see which copper data cabling solution is best for your business without delay. One IT Support is your one-stop shop for installing the latest VDSL over telecoms twisted pair technology around your business. VDSL technology stands out as it enables businesses to transmit data down a telephone line pair while using the same line for voice purposes. What’s more, the entire technique is extremely cost effective and is a great method for providing companies with strong network connectivity techniques. When it comes to the twisted pair technology of the process, such solutions are often used for setting up CCTV operations around a building, as well as other forms of data, audio and video transmission systems. To discuss more in detail about how VDSL over telecoms twisted pair networks can improve the network capabilities of your business, get in touch with our team of experienced engineers today. They will be able to answer any questions that you have about the technology, as well as arranging the perfect time for installing the cables around your workplace. Here at One IT Support, we offer a comprehensive range of fibre optic cabling and connectors for businesses in the North East. In recent years, fibre optic networks have become an integral element in the successful running of a business. This is because today’s technology requires more bandwidth than ever before, which makes fibre optic the ultimate solution for your business. Fibre optic cables stand out as they have a much greater capacity to carry high amounts of data over greater distances with minimal cost, an area where traditional copper networks are severely limited. What’s more, fibre optic cabling has the ability to push the same amount of bandwidth through a single cable as that of multiple copper cables. We can assist you with all your fibre optic network requirements, from installing equipment in the first place to advising on the type of fibre optic cable you require for your business. By choosing One IT Support, you will be assisted by our technicians, who have great experience in terminating and splicing methods, On top of this, our test and termination equipment is calibrated on a regular basis to ensure your fibre optic network is fault-free and of the highest quality. If you would like to talk to one of our team about our range of fibre optic network services, feel free to get in touchand our expert technicians will be happy to help. Here at One IT Support, we offer you a superb fibre optic cable installation service so that you can gain a phenomenal network connection around your business in next to no time. Fibre opting cabling forms the heart of many data networks today, thanks to the speed and reliability that the cables provide. We do offer you the option of which fibre cabling installation you would like to see around your business mind – single mode or multimode fibre cables. Single mode fibre cables are able carry data further and at a faster rate, but multimode fibre cabling is the more cost-effective method. If you are struggling to pick which fibre cable installation technique will be best for your business though, do not hesitate to get in touch with one of our skilled technicians. They will not only assist you in picking the best technology for your specific needs and desires, but will be able to come out to your facility and set up your network as well. Let One IT Support and our experienced team of engineers assist you with installing a top-quality fibre optic network around your business. Over the past few years, fibre optics have become a central part to the installation of local area networks. This is because the latest pieces of technology hitting the market are in need of more bandwidth than their predecessors. Fortunately, optic fibre enables a network to boast a huge capacity and the opportunity to carry high amounts of data at a very low cost. One IT Support is on hand to demonstrate how effective a fibre optic cable network can be for your company. The fact that our skilled technicians have set up optic fibre in environments ranging from indoor to outdoor locations, as well as ducted settings and sewers, just goes to show that we can help you no matter what business you run. Our services even expand to covering highly technical submarine cable installations, as well as specific fibre optic setups for data centres. See how we can help you by discussing our fibre optic network services with one of our friendly engineers over the phone today. Our experienced technicians here at One IT Support are on hand and ready to set up high-tech data centre networks around your business. A data centre is a very important facility for businesses working with IT, as it is used to house computer systems and associated components vital for the effective running of a company’s operations. One IT Support understands this, which is why we will help you with everything from the installation of port replication cabling in your new data centre to the setup of panel to panel links – be it with fibre optic cabling or copper cables. We can even assist you in maintaining your data centre following its installation, and even aim to do this out of hours so to cause minimum disruption to your staff. Speak to one of our skilled engineers over the phone without delay to find the best data centre network design for your business. Making sure your business is connected is vital. Whether connecting with your customers, or to different branches and office in the UK and globally, having a fast, reliable data connection can make the difference in the service you can offer your clients and customers and how efficient your business operates. The flexibility a reliable and fast data connection can bring to a business can make your company more dynamic, it will aid growth and can certainly help increase profitability. The UK offers some of the best internet connection services in the world, but sometimes traditional retail services fall short of the mark. Lots of businesses struggle with services that fail to meet the bandwidth promises, delivering slow data up and download speeds and often with intermittent connection drops. As we grow more reliant on fast digital communication and the importance of having our businesses data to hand at any time, having an ultra-fast and reliable data communications network has become very important. A dedicated high capacity network from One IT Support will give your business the infrastructure it needs to grow and meet your customer’s demands. What is a Dedicated High Capacity Network? 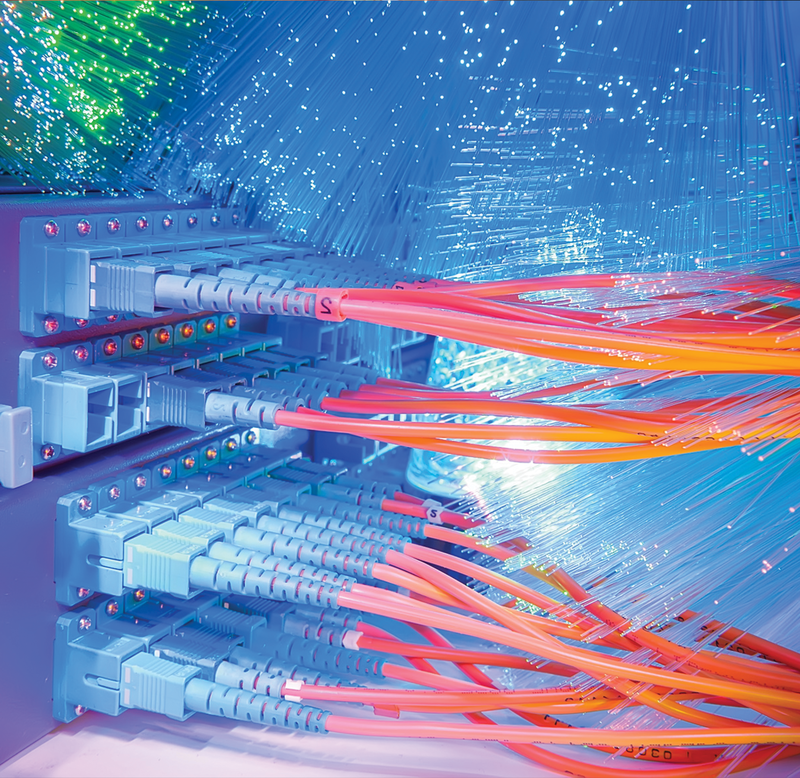 A high capacity network utilised optical fibre cabling to directly connect centres of business and hub terminals. This allows the movement of high volumes of date between sites across the UK, delivering a fast and secure systems employing the super low latency fibre optic network. One IT Support has direct access to a fibre optic network of over 186,000km throughout the UK, employing next generation fibre optic technology. This network set up is ideal for connecting business sites whether they are located in the same area or at other ends of the country. Built with Wave Division Multiplexing (WDM) technology you’ll be able to cost effectively deliver multiple services through just a single connection. The low latency cabling technology ensures your data will get delivered faster than ever whether it’s data storage, LAN/WAN connectivity or video transmission. What’s more, we’ll take care of everything for you with a carrier class SLA and a 24/7 service desk so you’ll have all the network support you need. No two business requirements are the same, and your company will have very specific data requirements based on your working remit, customer interrelation and service provision. Whether you’re connecting to an existing data centre, linking up your own data centres or extending your LAN environment, our high capacity optical network service will get your data moving and ultra-fast speeds. Connect your business sites throughout the UK via our nationwide network access, with data speeds of 1Gbit/s to 10Gbit/s. And If that’s not enough, we can build a bespoke solution for your business, to deliver speeds of up to 400Gbit/s in capacity between sites within 100km of each other. Our network connections are already present in many of the UK’s leading data network centres so we’re ready to connect your business to these sites whenever you are. • Lower your operation costs – The Equipment and network is owned and maintained by our suppliers, so you don’t have to make large investments to build and maintain your own fibre network. • Effective Forecasting – Knowing what your fixed costs will be in advance can help you plan. Competitive, fixed rental cost options gives you the flexibility to choose a payment plan to suit your business. And, once you’ve invested in the solution you’ll be able to more capacity to it at a lower cost. • Change your capacity – once your network solution is in place, it’s quick and easy to add new capacity to meet your evolving business requirements. Simply contact us to add or remove network capacity. • Increased data protection and safety – Our network is not only fast by highly secure. You can rely on our service but for total peace of mind, and we can add bespoke application to your package to match your security requirements. • No more wasted time – we manage everything for you so you won’t lose precious time and resources on managing what is a very specialist network solution. If your business has requirements that cannot be met by standard retail network providers, contact us to talk about dedicated network services from One IT Support.